We're obsessing over shirt dresses this season. 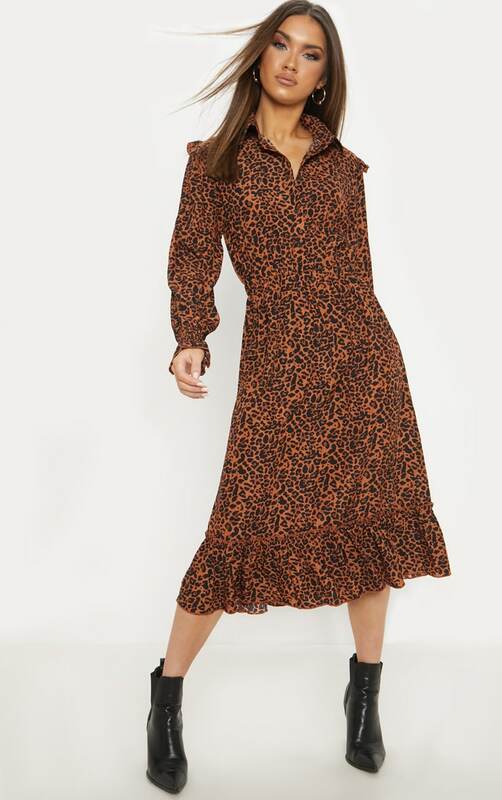 Featuring a rust leopard print, button front and frill detailing on the hem and shoulders. 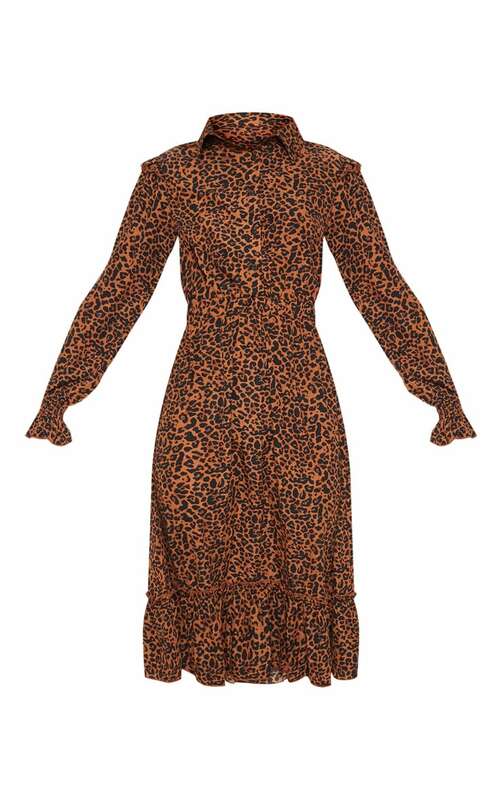 We love this styled with black ankle boots for a picture perfect evening look.